let me begin by welcoming you to today’s ceremony in honor of this significant anniversary. In particular, I would like to extend a heartfelt greeting tofamily members of the victims. They are with us today thanks to theunsparing efforts of Cav. 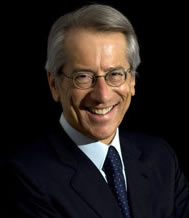 Giulio Picolli. YPD, the Vice Secretary of the CGIE [General Council of Italians Abroad] Silvana Mangione; CGIE Counselor Augusto Sorriso, New York and New Jersey COMITES Presidents Quintino Cianfaglione and Paolo Ribaudo, COMITES members, the President of the Major Italian American Organizations, Joseph Sciame, the President of the Order Sons of Italy in America, Joseph Di Trapani and, naturally, The Honorable Frank Guarini. “Memory is the treasure and the guardian of all things”: Marcus Tullius Cicero spoke thus of memory; warning Romans of the risks of not keeping it constantly alive. Two thousand years later, Cicero’s words are a strong reminder for us to never forget, to pray and remember the fallen and to always honor our heroes. Italy and the United States have done so in all the most tragic moments of our common history. Together, on January 27 each year, we remember that most barbaric act of genocide – the Holocaust; together we honor our warriors of World War I and World War II. Our countries have encouraged the United Nations Secretary General’s initiative, to bring together Governments, civil society and victims of terrorism to strengthen their commitment for both the victims and their families. And among those families, gathered two years ago at the UN Headquarters, there were some Italians to recall my Country’s direct experience of the atrocities of terrorism. In the ’70s and ‘80s, hundreds of Italian sons, daughters, wives, husbands, fathers, mothers, brothers and sisters faced the brutality of a political terror ignited by extreme, in human and despicable ideologies. This is why we must, on this tenth Anniversary of September 11: we feel your same pain very much. We understand your need to share a burden that our society has a moral duty to shoulder too. We join your urgent quest for justice, as nobody should go unpunished for such horrendous crimes [and I say so at a time when terrorists, to include Italian ones, are harbored in countries that should instead join us in our search for justice]. Tonight we are here to remember, and ensure that those who will follow us – our children, the next generations – keep alive the memory of those who have been taken from us – from you – in the evil attempt to disrupt the very values our civilization is founded upon. Let me say it clearly: that attempt has failed! Our values have triumphed and will continue to do so. Respect for human beings, freedom, and democracy has already defeated their enemies. It has already defeated those who tried to force us on a path of violence and vengeance. Ten years after the tragic attacks of September 11, we can proudly pronounce that Justice is being done. Twin columns stand in Rome today, at the entry of Via Appia, once a gateway to millenary civilizations. They intend to symbolize the strength of our Countries in fighting the enemies of peace and our openness to cultural and religious dialogue among civilizations. More than anything else, they will stand as a tribute to all those who lost their lives on September 11. And I am pleased to announce that later this month the Consulate will present a book called: “Rome Remembers September 11”. Over the past few days, we have again realized how the challenges societies are facing will not disappear soon. Our commitment will require the best of our enduring efforts. But we have already scored the most important victory: today, we have many more allies in our quest for freedom and democracy. They are not only governments, they are the people of the squares if the Muslim world, where – for the first time in over half a century – the quest for freedom is the widest and most prominent denominator. They are all those brave men and women, mostly young, who stood up against oppression and tyranny in what has become known as the “Arab Spring”. This is why today we can do more than remember our dearest ones. As President Obama said, this year’s anniversary is both one of “remembrance” and “service”: while we sustain our resilience and stay united to prevent new attacks and new victims, today we can honor their memory by looking to the future through the eyes of younger generations. In the US, in Italy and throughout the world, as President Napolitano said, they “fight terror and injustice, by showing the way of peace, security and tolerance”. Today my Country and my People pay tribute to all the victims of September 11 and to the Italian and Italian-Americans who lost their lives. Hundreds of commemorative events are being held throughout Italy: from our highest institutions in Rome to the smallest town council, my whole Country mourns those whom we lost and shares the sorrow of those who were deprived of their loved ones in the attacks. Italian-Americans such as Peter Ganci, New York Fire Department’s highest ranking uniformed officer, who rushed to the World Trade Center as soon as he saw the American Airlines flight number 11 crashing into the North Tower. More than 60 of the 343 brave firefighters who died came from Italian families. Together with the NYPD [New York City Police Department] and Port Authority officers, they helped to save 20 thousand people from the towers. Their sacrifice is a living monument to the contribution Italians have given to the United States of America since its very foundation. They deserve to be always remembered as heroes, and you will hear their names shortly. Now, however, let us honor them with a minute of silence.